Located at Main Avenue & 12th Street, this building is the pasteurization plant for Land O Lakes Dairy. It was built in 1939 originally for Yegen Dairy. 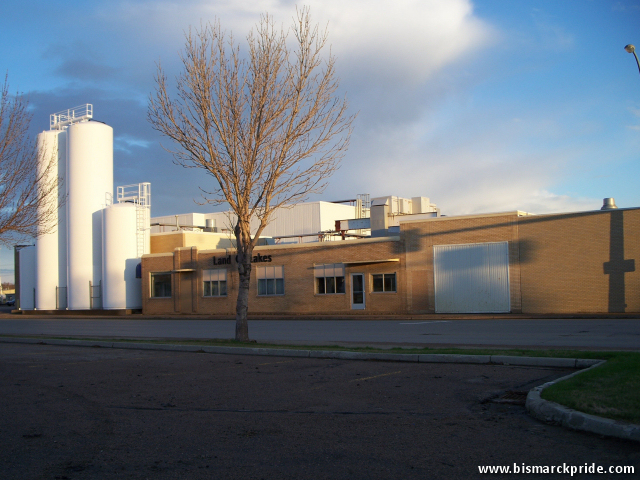 Dating back to when John Yegen opened a bakery and restaurant out of a tent in 1872 (the same year Bismarck was founded), Yegen entered the dairy business in 1919, becoming the region’s primary dairy producer. The company was purchased by Land O Lakes in 1966.